The dams of this year’s top Derby contenders have had a 50% influence on the makeup of each of these colts. So what does the tail female of the top 5 contenders bring to the table? Mitochondrial DNA (mtDNA) is the way nature tracks “Who Is Your Mama?” in every species, including humans and racehorses, since it is passed down from mothers to daughters intact. mtDNA is like a kind of spice, scattered throughout the gene pool, that makes up a horse’s pedigree. One of the interesting things about mtDNA is that it is thought to play a large role as a speed influence in a thoroughbred’s pedigree. Out of the mare Parlez, this colt’s BM sire is French Deputy (Deputy Minister). Parlez hails from a good female family and International Star (IS) is her third really good offspring. The other two are both by Not For Love, the filly Fools In Love and the gelding D C Dancer, winner of the Maryland Million Sprint. So Parlez has proven herself to be a good producer. IS’s second and third dams also proved to be sound producers. Speak Halory (Verbatim) the colt’s second dam, has 7 winners out of 10 foals, including Lovely Sage, and is the grandam of New Edition (Stormy Atlantic) and Venezuela’s champion, Karun (Arch). IS’s third dam is the better known Halory (Halo), the dam of the great Halory Hunter (Jade Hunter), Key Lory (Key To The Mint), Van Nistelrooy (Storm Cat), the gelding, Prory (Procidal), Brushed Halory (Broad Brush) and grandam of the Storm Cat filly, Sly Storm. What becomes apparent is that Parlez’s female family produce strong fillies and a few good colts, the best of which (other than IS) are Karun (VEN), Halory Hunter and Key Lory. However, the number of really good colts produced by Halory has not been duplicated by Speak Halory, leaving us with the question of whether or not Parlez is a strong influence in IS’s pedigree or not. As for French Deputy, who stands at Japan’s Shadai Stallion Station, he seems best at siring 8f runners who are especially good as two year-olds. But, in 1995, French Deputy did post the highest 3 year-old Beyer figure (119) and his own sire, Deputy Minister, was one of the great progenitors of the breed. The undefeated Dortmund’s dam, Our Josephina, wasn’t an impressive runner herself, but being a daughter of Tale of the Cat helps hugely. Another aspect of Dortmund’s tail female is the influence of Danzig in his third generation, repeating the lucrative Northern Dancer-Secretariat nick (responsible for Summer Squall, Secreto, Storm Bird, among others) while adding still another juicy element: the Danzig line in Europe has produced champion runners and sires in the form of Oasis Dream and Dansili. The presence of Giant’s Causeway in Carpe Diem’s pedigree makes us less unsettled by Unbridled’s Song in his tail female, at least in terms of soundness issues. And his dam, Rebridled Dreams, also has two other very good progeny: Doncaster Rover (War Chant) and J B’s Thunder (Thunder Gulch), even though the best she did in Grade 2 company herself was a place and a show. 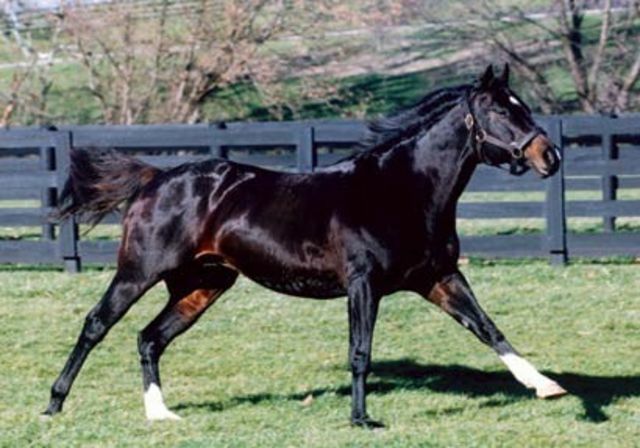 In general, Carpe Diem’s maternal family in his tail female lacks depth, with the exception of Unbridled’s dam, Gana Facil, also the dam of Cahill Road (Fappiano). However, the stallion influences are interesting: Fappiano, Caro, Danzig and Aloma’s Ruler appear in his 4th generation but that may be too far back to exert any real influence. Still, in the mysterious muddle of thoroughbred genetics, this handsome son of Giant’s Causeway may have more than enough on top to carry him to victory. After all, his daddy’s nickname during his racing career was The Iron Horse! 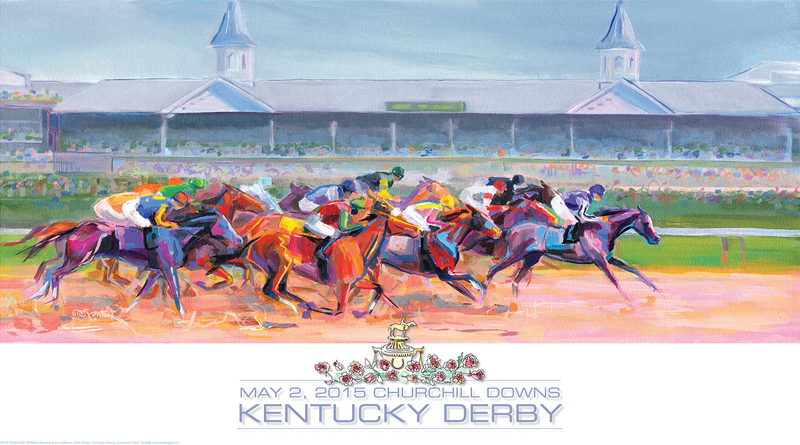 Not unlike Carpe Diem (above), American Pharoah’s bottom line is not particularly impressive. Out of Littleprincessemma (Yankee Gentleman), the colt carries Storm Cat in his female family and, therefore, the promise of Terlingua’s speed. Of two foals, American Pharaoh is by far his dam’s best. A prohibitive Kentucky Derby favourite as of this writing, the colt’s second and thirds dams are useful, producing some winners with modest earnings. The most impressive female influence comes from his BM sire’s dam, Key Phrase, but her influence on his pedigree would be negligible at best. The stallions Flying Paster and Exclusive Native come up in the fourth generation of his tail female but, again, don’t expect a strong influence here. The prohibitive Derby favourite (at this writing) owes far more to his sire, Pioneerof the Nile, a son of the mighty Empire Maker, and this comes through in his conformation and precocity. There’s no denying that the brilliance of his sire, Tapit, shines in the coat and talent of Frosted. He is his dam Fast Cookie’s third and most successful foal, although the other two were winners, albeit in modest company. Fast Cookie is a daughter of the great sire, Deputy Minister, and her dam Fleet Lady (Avenue of Flags by Seattle Slew) is also the dam of Darley’s BC Juvenile and 2 YO Eclipse Champion colt, Midshipman (Unbridled’s Song). 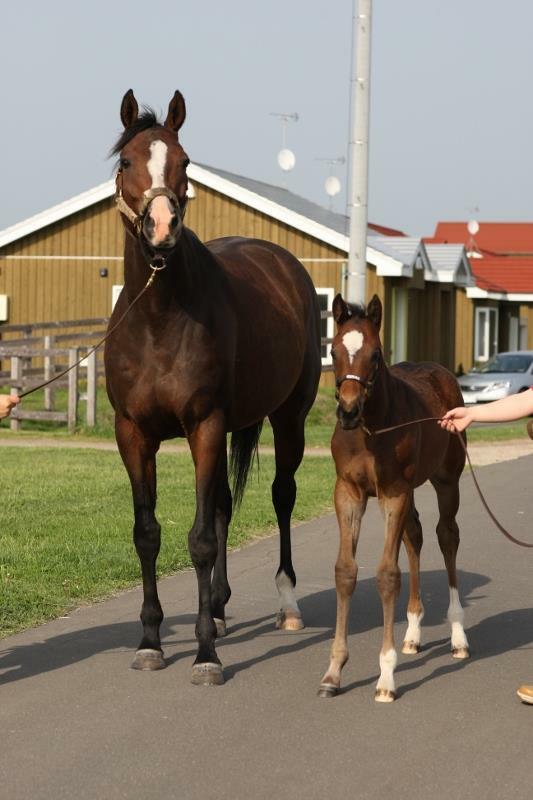 Frosted’s third dam, Dear Mimi (Roberto), is the maternal grandam of Pantomima (JPN) by Seattle Dancer and Mars Princess (JPN) by Danehill, both modest producers in Japan. Frosted is also inbred 2 X 4 to the immortal Seattle Slew. So although Frosted’s female family is nothing to be sneered at, it is undoubtedly his sire’s influence that dominates. PERSONAL ENSIGN appears in OCHO OCHO OCHO’S tail female. An omen perhaps? MATERIALITY’S dam is also the dam of MY MISS SOPHIA and his second dam, DIAL A TRICK, is the dam of EYE OF THE TIGER. A daughter of DIAL A TRICK, WILDWOOD FLOWER, is the dam of AFLEET EXPRESS. The colt’s 3rd dam, ICE FANTASY, is the grandam of champions SNOW RIDGE & SWEETNORTHERNSAINT. EL KABEIR’S 2nd dam, ROSE COLORED LADY, is the dam of TOO MUCH BLING. PASSING MOOD, the dam of UPSTART‘s BM sire, TOUCH GOLD, was also the dam of champion WITH APPROVAL, winner of the Canadian Triple Crown. 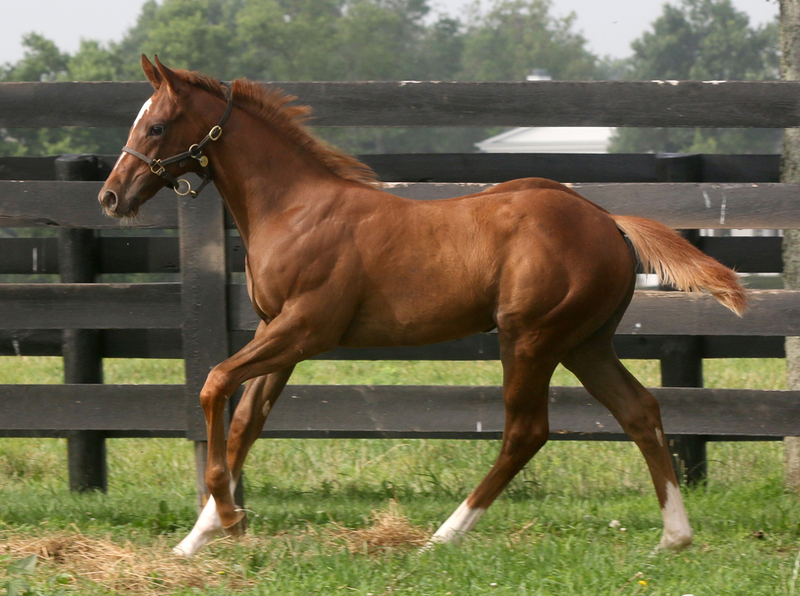 FAR RIGHT’S tail female includes VINDICATION, SHADEED & AFFIRMED and his 4th dam is the fabulous CASCAPEDIA. WAR STORY’S 2nd dam, POLLY ADLER, is the dam of YOURSMINEOURS and his 3rd dam, HONEST AND TRUE is the dam of champion EPITOME and grandam of ESSENCE OF DUBAI. MR Z’S 2nd dam, AMELIA BEARHART, is the dam of champions CHIEF BEARHEART & EXPLOSIVE RED. 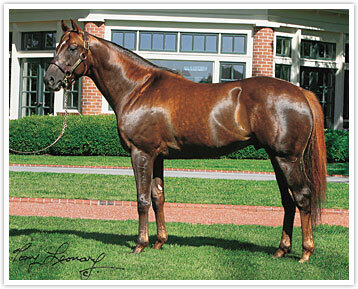 Another daughter, RUBY RANSOM, is the dam of STRUT THE STAGE & SACRED SONG. MR Z’s 4th dam is none other than the great GOLD DIGGER, who is the dam of MR PROSPECTOR. OCHO OCHO OCHO’S 3rd dam is none other than the incomparable PERSONAL ENSIGN. KEEN ICE’S 4th dam, CHIC SHRINE, is the grandam of HUNGRY ISLAND, SOARING EMPIRE, VERRAZANO, EL PADRINO & SOMALI LEMONADE. The tiny chestnut foal could hardly have known that he was born into a story, would be named after a national treasure and would grow into a legend. But that is exactly the story of Giant’s Causeway. 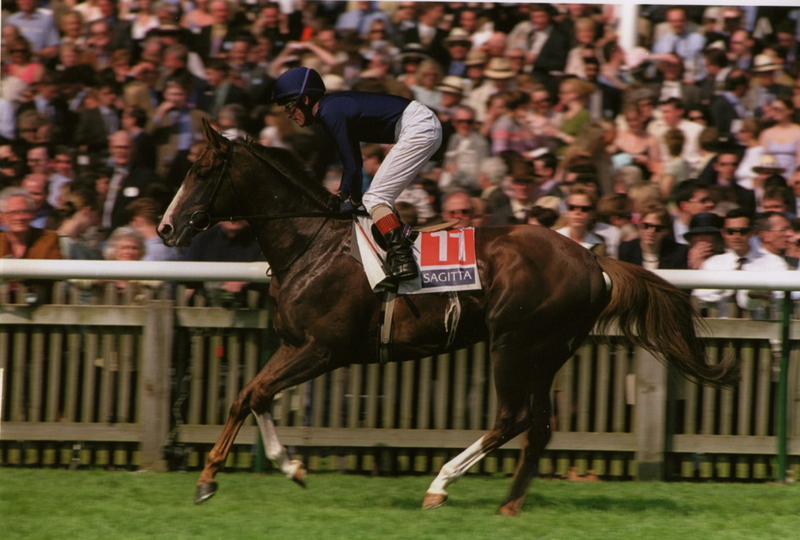 MARIAH’S STORM (1991), the dam of GIANT’S CAUSEWAY had already gained notoriety for her recovery from a fracture to her front left cannon bone in 1993 that should have ended her career. But the daughter of RAHY healed to race again and did not disappoint, winning the Arlington Heights Oaks and the Arlington Matron Handicap. 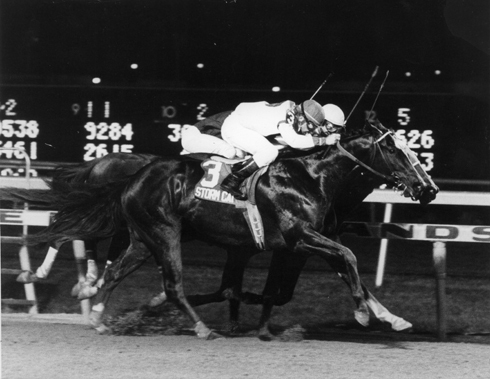 She then went on to defeat champion SERENA’S SONG in the 1995 Turfway Park Budweiser Breeders’ Cup Stakes. 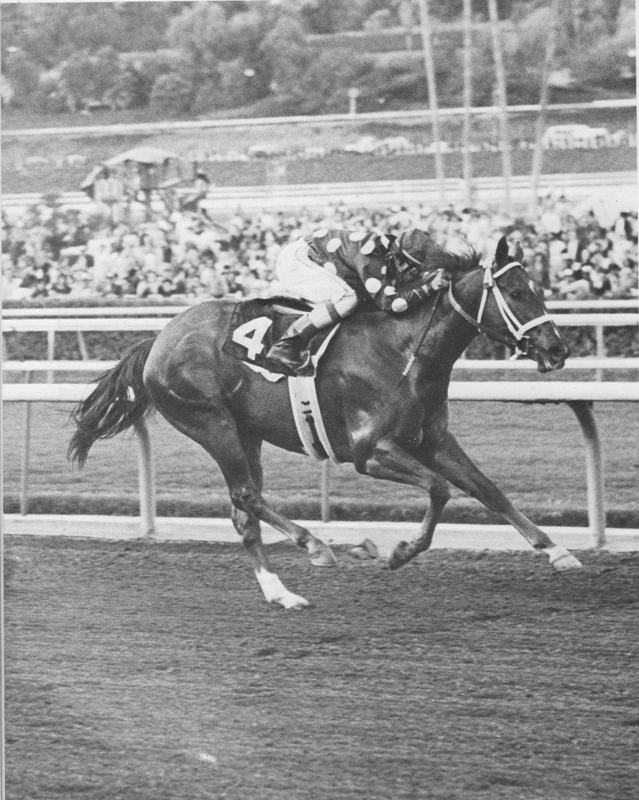 GIANT’S CAUSEWAY’S sire is the prepotent STORM CAT (1983), who counted in his pedigree the grandsires NORTHERN DANCER(1961) and SECRETARIAT (1970). GIANT’S CAUSEWAY gets a bath as his young trainer, Aidan O’Brien (back to camera) helps out. The gorgeous colt would go on to become a stunningly handsome stallion, but in O’Brien’s mind and in the hearts of his devoted following he is less remembered for his beauty and more for his racing heart. 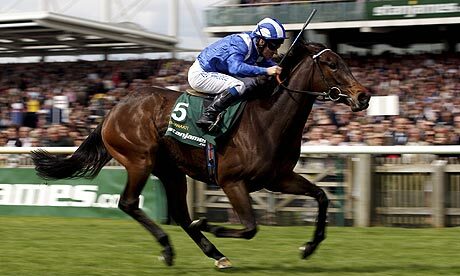 He remains one of the best horses to ever grace the UK turf. Photo & copyright: HorsePhotos. Bred by Bill Peters and campaigned in the name of his Thunderhead Farms, Mariah’s Storm wove herself a story of guts, courage and heart. Breaking down in the Alcibiades with a fracture to her left front cannon bone in 1993, the filly’s racing career would have ended had it not been for the faith of owner Peters and her trainer, Don Von Hemel. It was decided that she would be rehabilitated, but even after the fracture healed, the question remained: Would the filly ever race again? 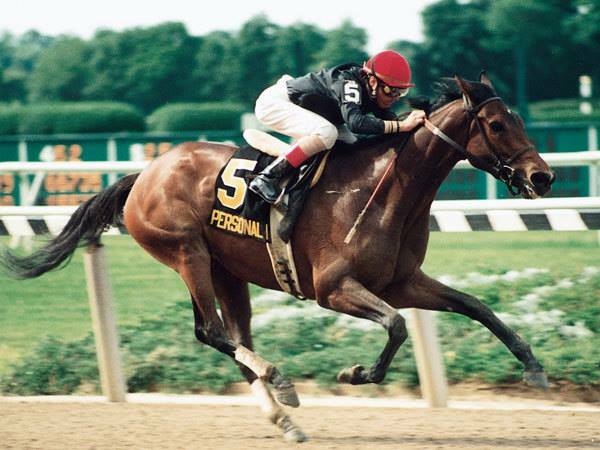 Starting back in 1994, Mariah’s Storm showed the racing public what she was made of, winning the Arlington Heights Oaks, the Arlington Matron and defeating the great mare Serena’s Song in the Turfway Park Budweiser Breeders Cup Stakes in 1995. 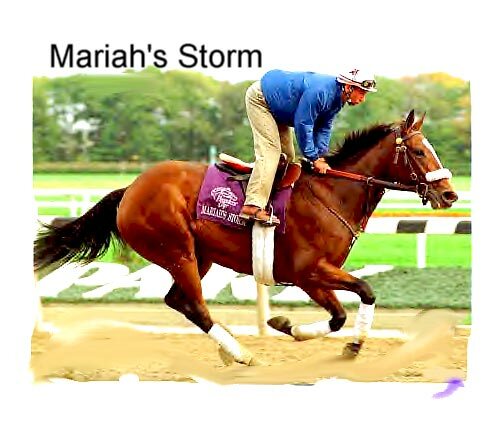 Although she faded to finish ninth in the 1995 Breeders’ Cup Distaff (won by over a dozen lengths by the impressive Inside Information with jockey Mike Smith in the irons), Mariah’s Storm retired with a career record of 16-10-2-1 and earnings of $724,895 USD. She had done enough to inspire a movie (“Dreamer”) and to get the attention of savvy horsemen beyond the shores of North America. So it was that in 1996, at the Keeneland November breeding stock sale, Mariah’s Storm was sold, in foal to Storm Cat, to Coolmore’s John Magnier for 2.6 million USD. 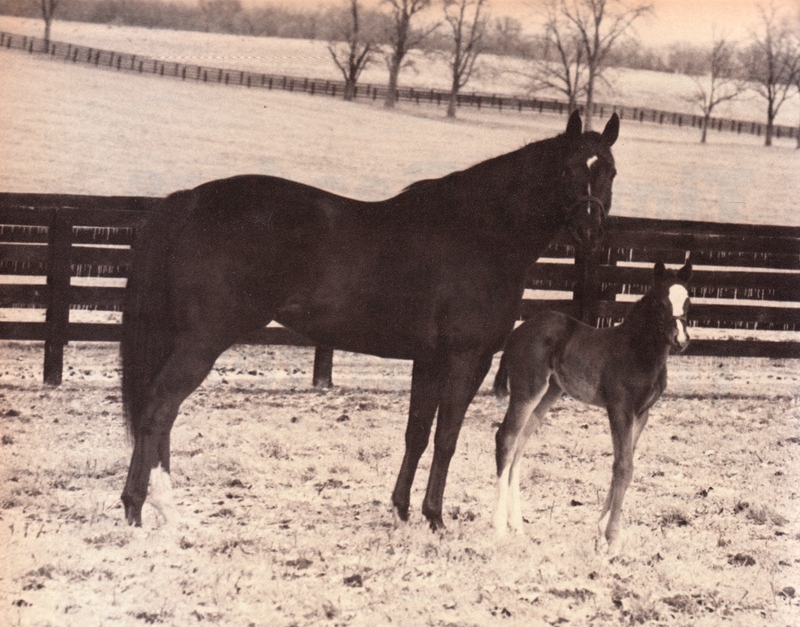 The foal she was carrying was imprinted with the genetic data of Northern Dancer (1961), Secretariat (1970), Blushing Groom (1974) and Roberto (1969), as well as Halo (1969), Hail To Reason (1958), Nasrullah (1940), Nashua (1942), Bold Ruler (1954) and an important son of Man O’ War, War Relic (1958). Further, the Storm Cat-Mariah’s Storm mating called upon the known affinity between the Northern Dancer and Blushing Groom sire lines. It was fair to expect great things from this yet unborn descendant of some of the greatest thoroughbreds of the last century. But, as history has shown, great genes don’t always beget great horses. 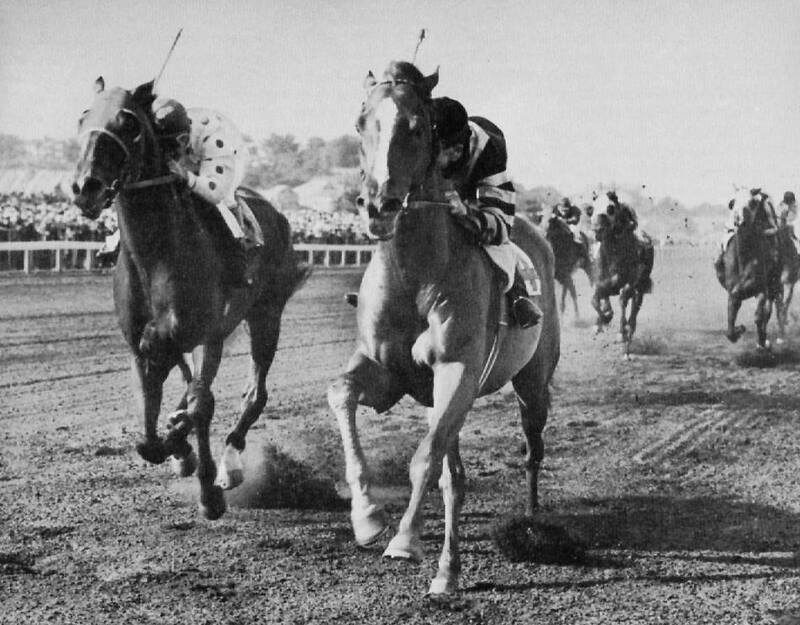 WAR RELIC (inside) shown beating FOXBROUGH in the 1941 Massachusetts Handicap. 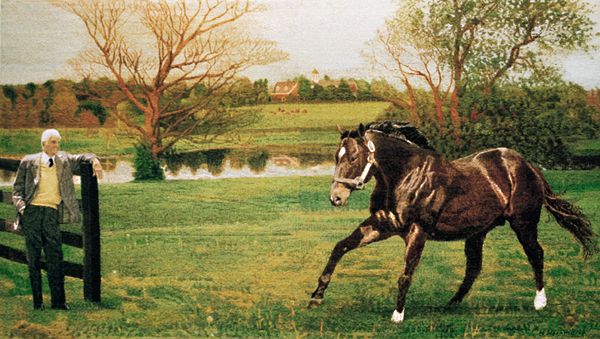 The chestnut son of MAN O’ WAR, whose temper was so fierce he killed a groom, also carries the distinction of being the most influential sire of all of BIG RED’S sons. His remains lie next to those of WAR ADMIRAL and MAN O’ WAR in the Kentucky Horse Park. WAR RELIC appears on the bottom of MARIAH’S STORM’S pedigree in the fifth generation. 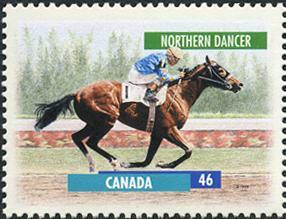 NORTHERN DANCER, depicted here in a stamp released in 2012 by Canada Post. 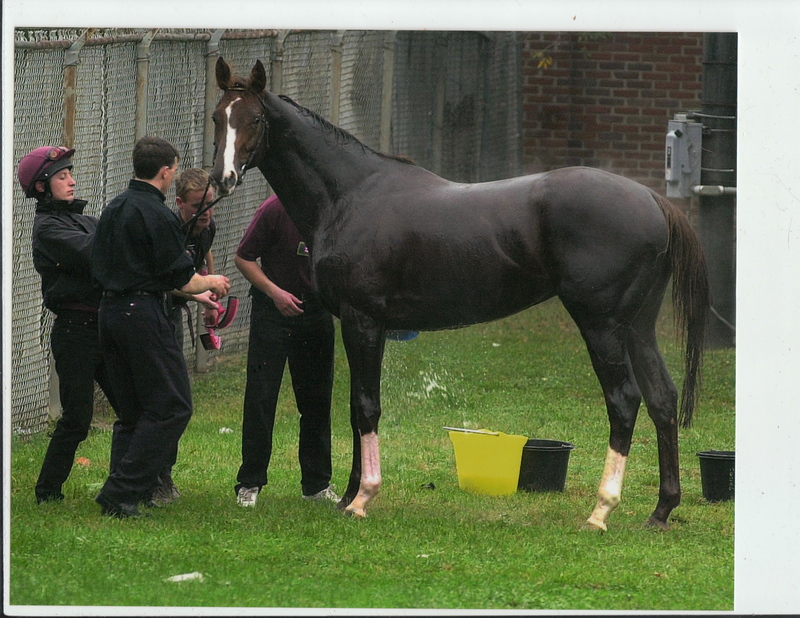 BLUSHING GROOM, whose sire lines work well with NORTHERN DANCER. 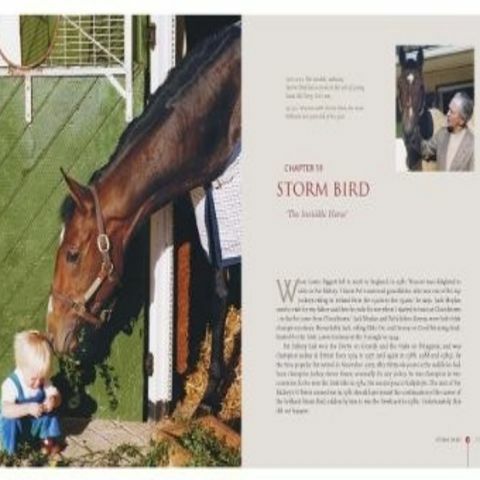 As Aidan O’Brien tells it (in Pacemaker, July 2001), the Storm Cat-Mariah’s Storm colt was already the talk of Ashford Stud (Coolmore America) long before he arrived at Ballydoyle. 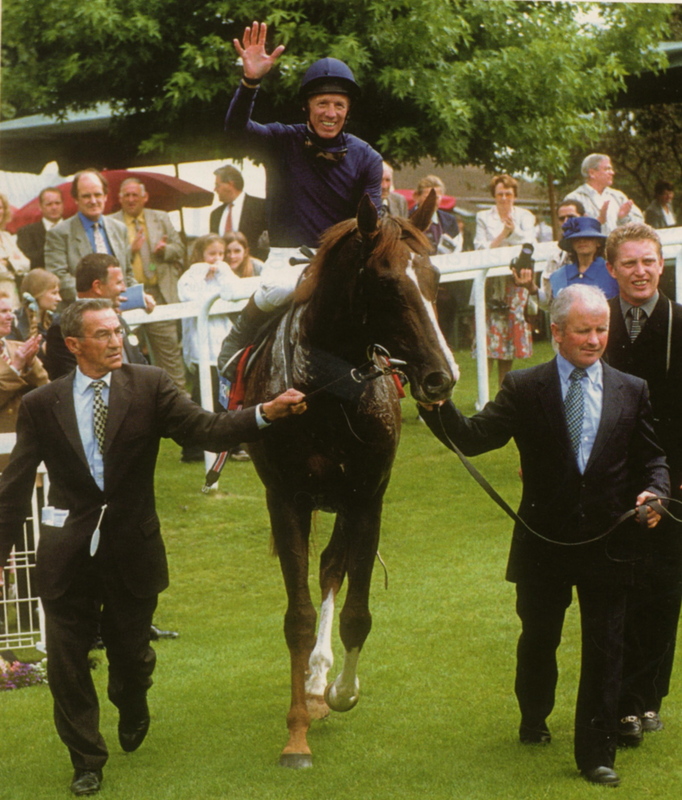 “A very special horse,” said Aidan O’Brien of GIANT’S CAUSEWAY after he broke his maiden at first asking in 1999. Above, shown winning the Prix de la Salamandre (G1) at Longchamps that same year in what would be the final race of his 2 year-old season. The handsome colt with the crooked blaze needed a name and the one chosen for him was Giant’s Causeway. So it was that before he had even set foot on the turf, the youngster had the distinction of carrying on his solid shoulders another story, this one pertaining to one of Ireland’s greatest legends. The site of Finn McCool’s great feat remains a place of mystery and magic, warmed by the ghosts of a well-remembered past. While it continues to fascinate all who see it, on the global stage The Giant’s Causeway has also been declared a UNESCO World Heritage site. As he would throughout his racing career, Giant’s Causeway did honour to his bloodlines, his dam’s grit and the country that had embraced him. In his juvenile season, the colt raced three times, capping off the year with an easy win in the 1999 Prix de la Salamandre (G1) at Longchamps, France. The ground was soft that day, but Ballydoyle’s colt made all the running under the skilled guidance of master jockey, Mick Kinane. Giant’s Causeway was indeed “good enough,” beating an experienced Tarry Flynn (1994) as well as John Oxx’s Namid (1996), who would go on to take the Prix l’Abbaye later in the season. 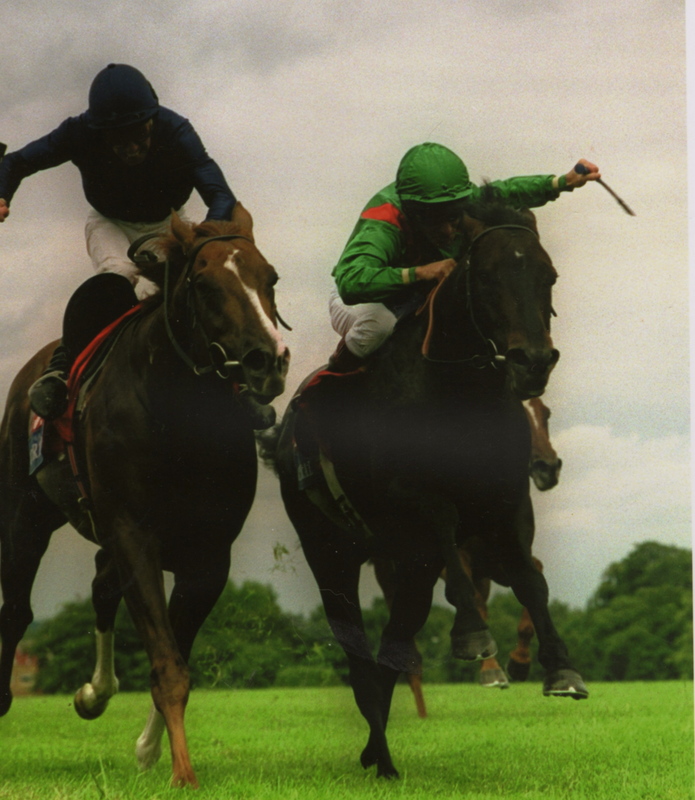 GIANT’S CAUSEWAY as a three year-old, with Mick Kinane up. Photo & copyright The Racing Post. He may have won it by a nose, but Giant’s Causeway stamped himself as Mariah’s Storm’s son, showing a tenacity that became a signature. 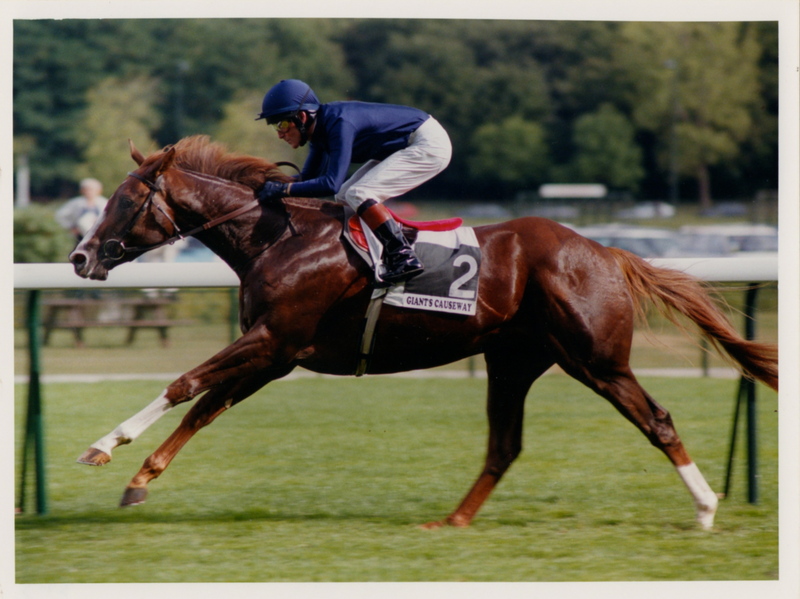 In winning the St. James’s Palace he had beaten some excellent colts in Bachir and Medicean (1997). And he had won off a slower pace than he liked. Although it was tempting to give the colt the summer off, O’Brien felt that he could step up the pace of Giant’s Causeway’s campaign by entering him in the Coral-Eclipse (G1) a mere eleven days later. The changes in the three year-old from just before and after the St. James’s Palace made it an interesting risk to take. 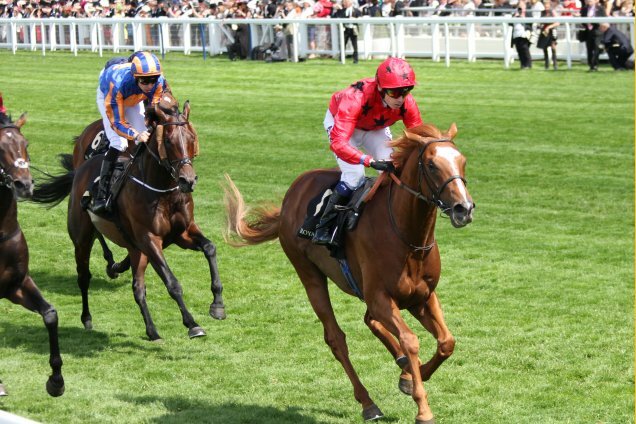 Giant’s Causeway had come into his own just before his appearance at Royal Ascot and came out of it well into himself and in great form. 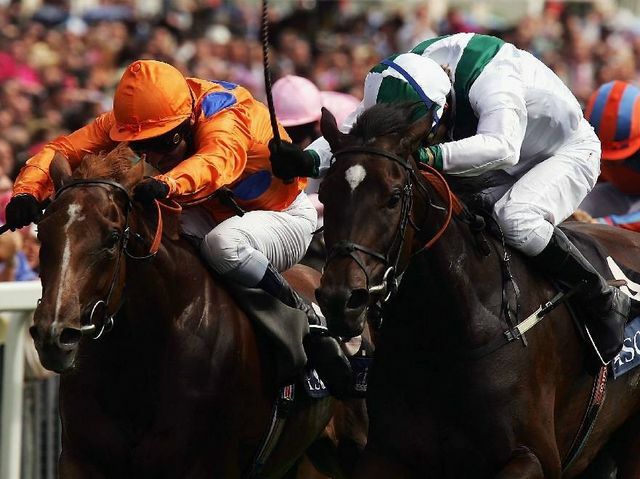 With veteran jockey George Duffield in the saddle, he went to the post in the Coral-Eclipse. Also entered were champions Sakhee (1997), Fantastic Light (1996), Shiva (1995) and Kalanisi (1996). Aidan O’Brien’s take on the drama of the finish was that once Giant’s Causeway had gotten to the front, he idled a little, waiting for Kalanisi to get up to him. But whether by a length or a whisker, his game colt had gotten the job done. 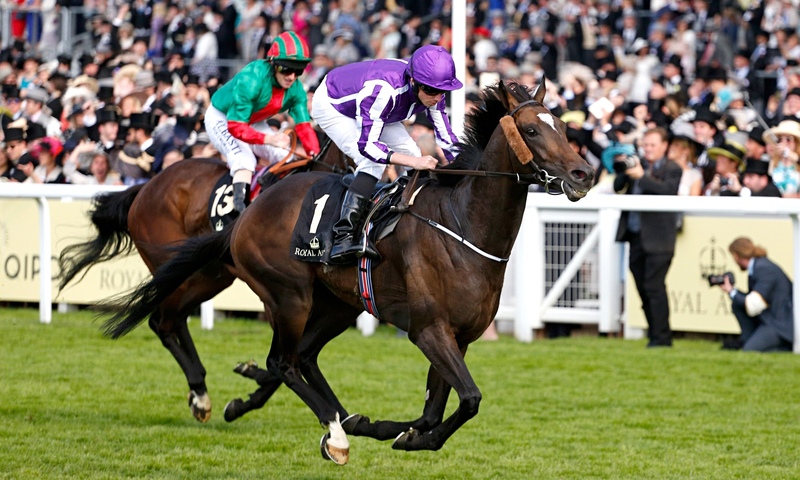 It was this race that would earn the Ballydoyle colt an enduring nickname, “The Iron Horse,” since Giant’s Causeway became only the second horse –and the first since Coronach(1923) in 1926 — to capture both the Coral-Eclipse and the St. James’s Palace Stakes in the same year. 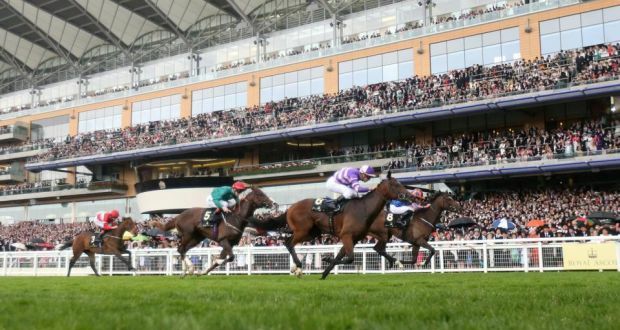 In winning the Coral-Eclipse he had beaten a future winner of the 2001 Prix du l’Arc de Triomphe (Sakhee), the 2000 European Champion Horse and Champion Turf Male in the USA (Kalanisi), the 2000 & 2001 UK Horse of the World (Fantastic Light) and the winner of the Tattersall’s Gold Cup and 1999 European Champion Mare (Shiva). at the wire. Photo & copyright, The Racing Post. A delighted George Duffield rides in the Coral-Eclipse winner, GIANT’S CAUSEWAY, after the colt’s gutsy win over KALANISI. The only other horse to ever have won the St. James’s Palace and Coral-Eclipse in the same year was CORONACH, in 1926. Credit: Pacemaker. As if this weren’t enough, the Iron Horse went on — and on — annexing the Irish Champion Stakes (G1), the Sussex Stakes (G1) and the Juddmonte International (G1) in rapid succession, vanquishing older champions like the German Group 1 winner, Greek Dance (1995), Juddmonte’s champion, Dansili (1996), and the valiant Kalanisi along the way. 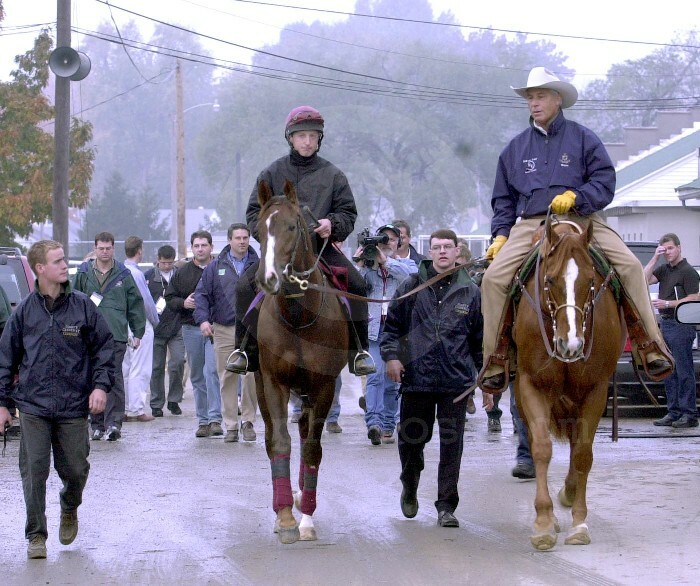 Followed by a hoard of media, GIANT’S CAUSEWAY makes his way to the track at Churchill Downs, accompanied by the Master of Ballydoyle, Aidan O’Brien and American HOF trainer, D. Wayne Lukas. The two trainers would begin an enduring friendship at the Breeders Cup. Giant’s Causeway was coming to Churchill Downs off a long, hard and brilliant campaign: in twelve career starts (nine of them in his three year-old season), he had won nine and placed in three. 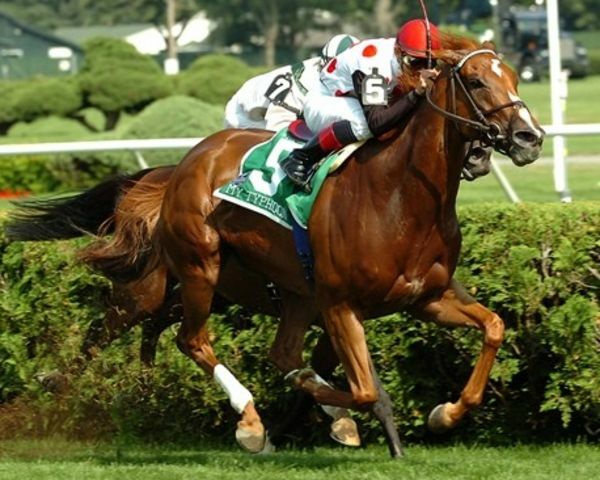 Retired to stud in 2001,Giant’s Causeway ended his career with a record of 13-9-4-0 and earnings of 2,031,426 BPS. Not surprisingly, his stud career has been as successful as his career on the turf. Standing his first year at Coolmore Ireland and his second season at Coolmore Australia, The Iron Horse came to rest in the country of his birth for his third season at stud and has never left. 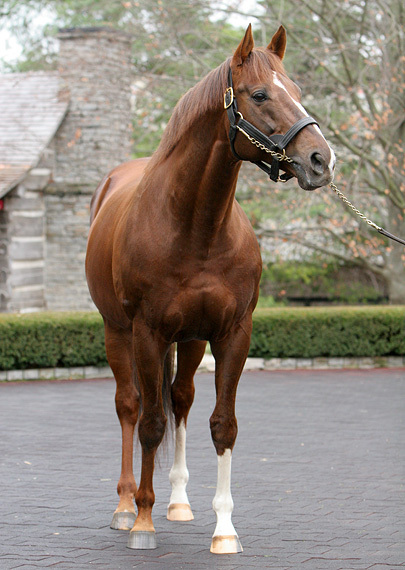 In a dozen or so years, the flashy chestnut who never seems to take a bad photograph has sired enough winners to earn him USA Champion Sire rankings in 2009, 2010 and again in 2012. Granted, his book is large and he continues to attract very fine mares, making his chances of showing himself a superior sire greater. But the fact remains that his progeny have won on dirt, synthetic and turf in six different countries and on four continents, at distances from 5 – 14 furlongs. Giant’s Causeway may also be on his way to garnering “Sire of Sires” status, given the success of sons like Shamardal (2002) , Footstepsinthesand (2002), Frost Giant (2003) and First Samurai (2003) already, with other promising progeny like Eskendereya (2007) and Canada’s Mike Fox (2004) in the wings. 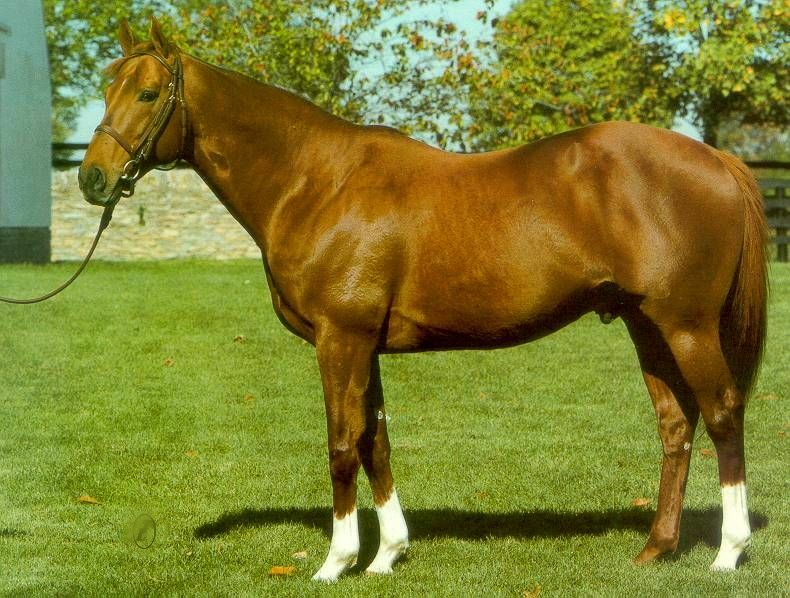 As a broodmare sire, Giant’s Causeway has also been successful, much in the pattern of his sire and grandsires. Recent examples are millionaires Evening Jewel (Jewel of the Night, 2002) and Planteur (Plante Rare, 2002). The late Tony Leonard’s profile of ARAGORN. Photo and copyright, the estate of Tony Leonard. The gorgeous ESKENDEREYA who many thought would be a powerful Triple Crown contender before injury abruptly ended his career. 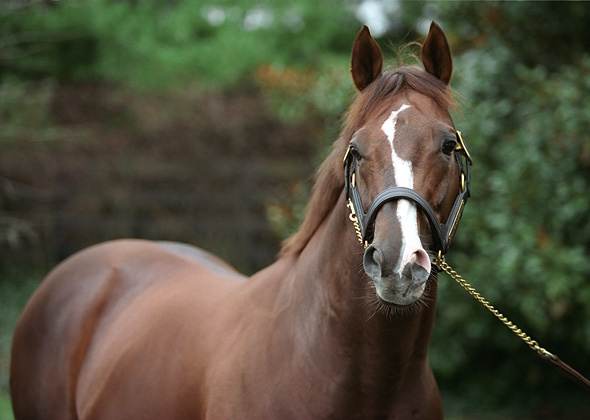 Steve Roman’s data indicates that Giant’s Causeway is indeed a pre-potent sire of Classic stamina which would indicate, in turn, that he passes on little of the Storm Cat line’s tendency to produce speedy, short distance juveniles who frequently are unable to show the same form at three. The Classic influence clearly owes more to the Blushing Groom/Nasrullah sire line that was passed down to him by the plucky Mariah’s Storm. All of which would explain why, at the age of seventeen, Giant’s Causeway owns the reputation of being Storm Cat’s best producing son, even though Storm Cat may well have had little to do with it. Does he ever take a lousy photo? 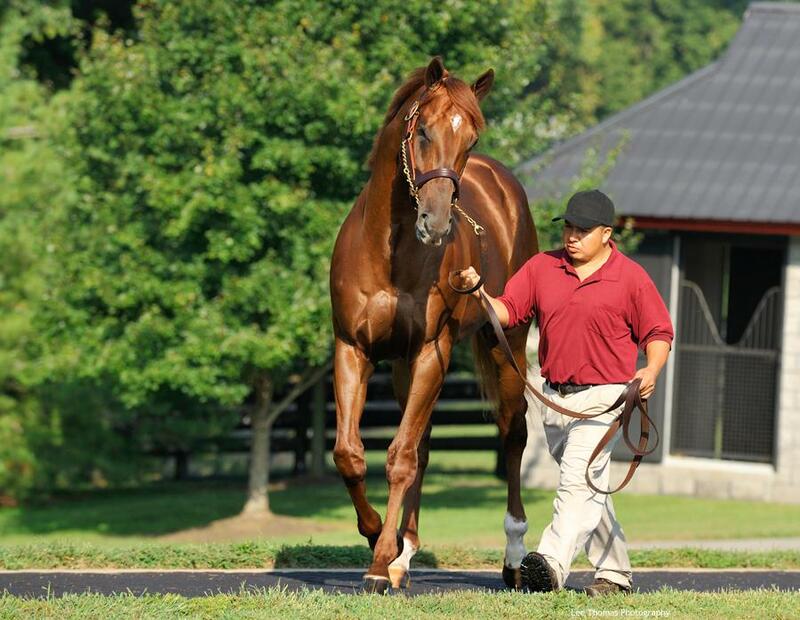 GIANT’S CAUSEWAY posing at Ashford. 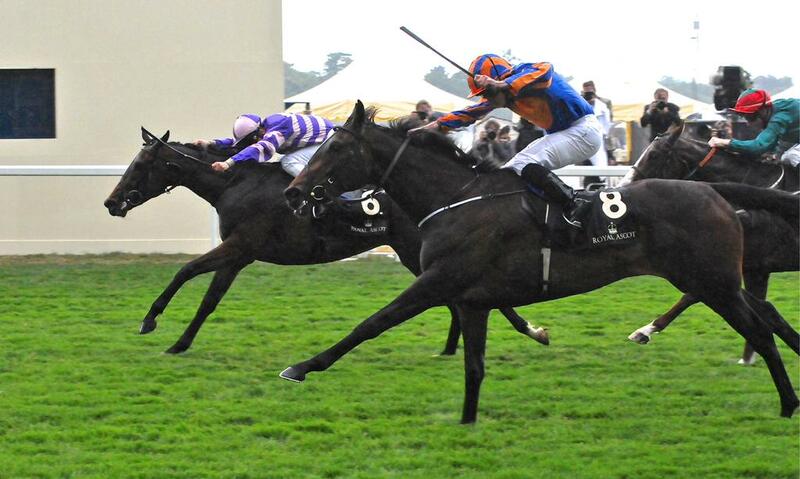 The Richard Hills’ trained GHANAATI shown here winning the 1000 Guineas. MAID’S CAUSEWAY (inside) was an early champion of her then-juvenile sire. 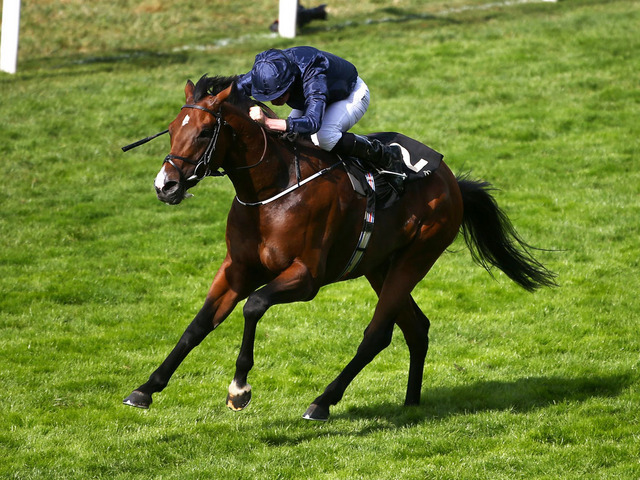 Ireland’s Iron Horse has a veritable stable of champions to his credit. Other than those mentioned, the list includes millionaires Aragorn (2002), Cowboy Cal (2005), Eishin Apollon (2007), Fed Biz (2009), Creative Cause (2009), Giant Oak (2006), Irish Mission (2009), Heatseeker (2003), My Typhoon (2004) and Red Giant (2004). Sons who won at the Grade/Group 1 level with Classic designation: Intense Focus (2006), Footstepsinthesand, Rite of Passage (2004), Our Giant (2003), Heatseeker, First Samurai, Eskendereya, Red Giant, Shamardal, Frost Giant (2003) and Aragorn. Daughters who won at the Grade/Group 1 level with Classic designation: Internallyflawless (2006), Swift Temper (2004), Juste Momente (2003), Maid’s Causeway (2002), My Typhoon (2004), Ghanaati (2006) and Carriage Trail (2003). Other very good progeny include Await The Dawn (2007), Bowman’s Causeway (2008), Caroline Thomas (2010), Imagining2 (2008), Sunshine For Life (2004), Viscount Nelson (2007) and Winning Cause (2010). Fan favourite, MY TYPHOON, a half-sister to GALILEO was out of the champion and Blue Hen mare, URBAN SEA, who had won the Prix du l’Arc de Triomphe in 1993. Although, in these fickle times, Giant’s Causeway is no longer considered a “hot” sire, he blasted into 2013 to top the Sire’s List with 12 GSW’s, the most spectacular of which was arguably the champion filly, Dalkala (2009), winner of the prestigious Prix de l’Opera in 2013. The stallion has opened 2014 with a victory by the champion mare, Naples Bay, a half-sister to Medaglia d’Oro, in the Marshua’s RiverStakes (G3) at Gulfstream, in what was likely her final start. So the thrilling narrative of a great racehorse and an astoundingly good sire continues. Surely Finn McCool is rejoicing at an equine who has built a causeway that girths the world. NOTE: THE VAULT is a non-profit website. We make every effort to honour copyright for the photographs used in our articles. It is not our policy to use the property of any photographer without his/her permission. Please contact THE VAULT regarding any copyright concerns.